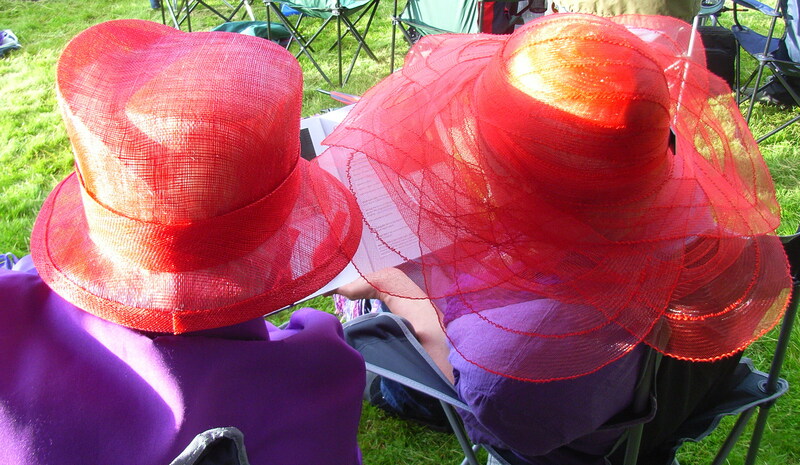 What a great evening yesterday, with the Rutland Red Hatters at Music on the Launde, with a great set from Funk Soul Brother, Frank Sinatra and other classics from the Leicester Big Band and a contribution from Rutland’s Singing for Fun group, which included two of our own Red Hatters. 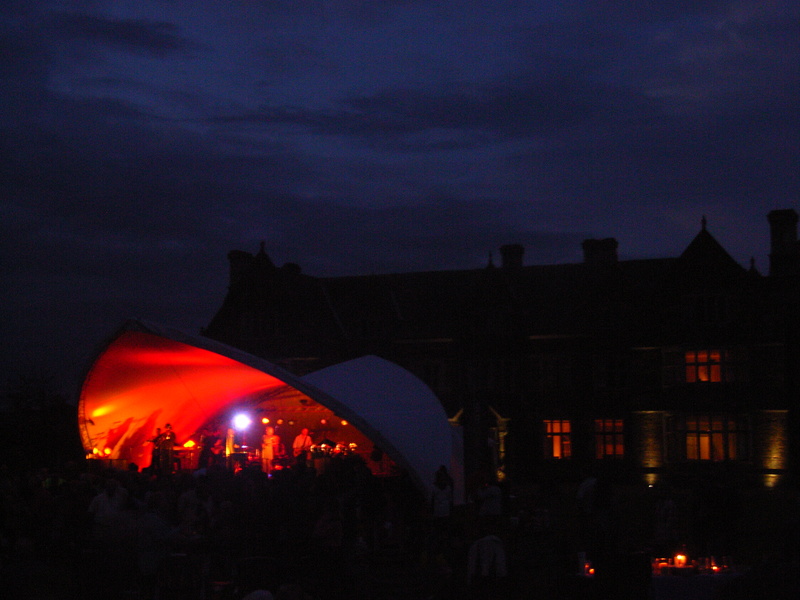 It was all put on by Funky Abbey Festivals, and it was absolutely brilliant. I hadn’t been to Launde Abbey before: like many lovely attractions in Rutland, it’s not actually in Rutland (we’re too small a county to hold everything!) but is a few miles the other side of Uppingham, technically in Leicestershire! The beautiful old house, which is a Christian retreat and conference centre, sits at the bottom of a natural amphitheatre in lovely parkland. 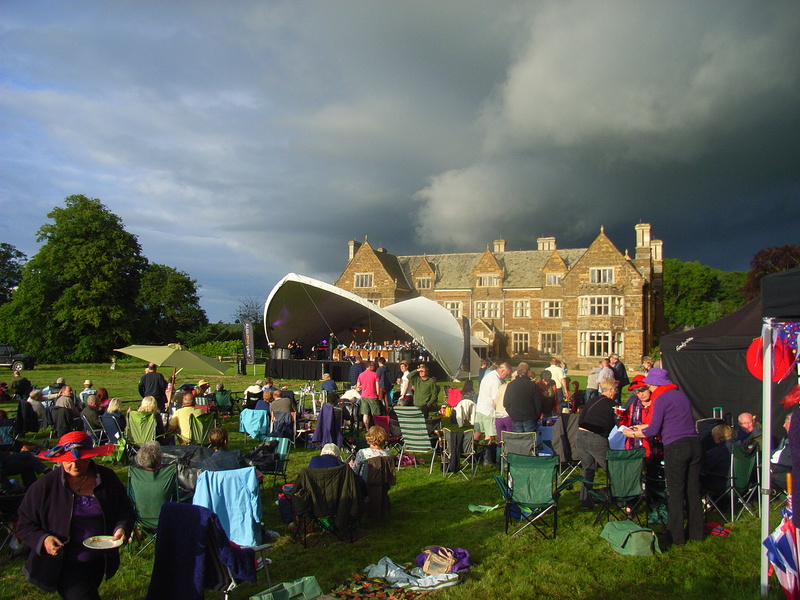 The stage was set on the lawn in front of the Abbey, the sound projecting over the Ha-Ha to the audience sitting on the gently sloping grass. Queen Tess of the Purplefrills arranged it all, and hired the Rutland Red Hatters two gazebos ‘in case of rain’ which of course showed great foresight, since we had a heavy shower towards sunset, but we’d already picnicked, and Leicester Big Band was in full swing, so we just moved our chairs into the gazebos, and put up the umbrellas. 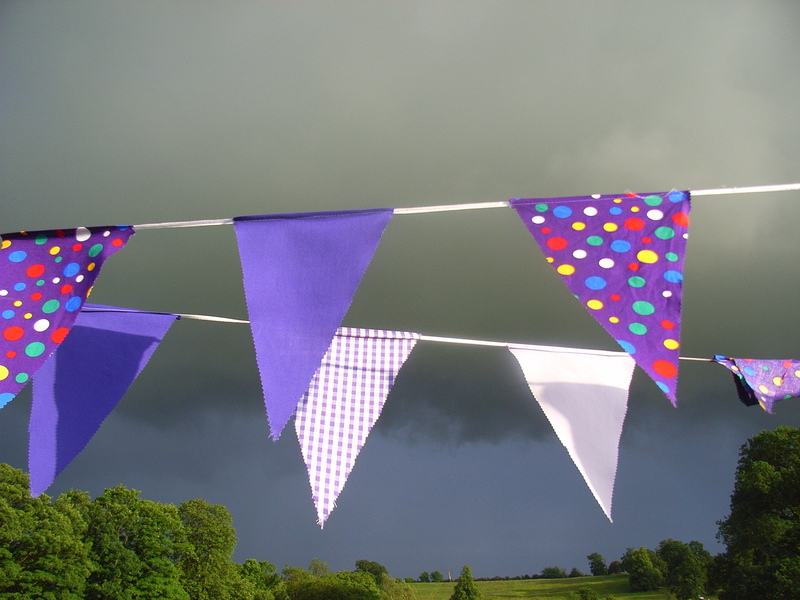 It was easy enough to spot our gazebos on arrival, since Queen Tess had decked them out with yards of purple bunting. 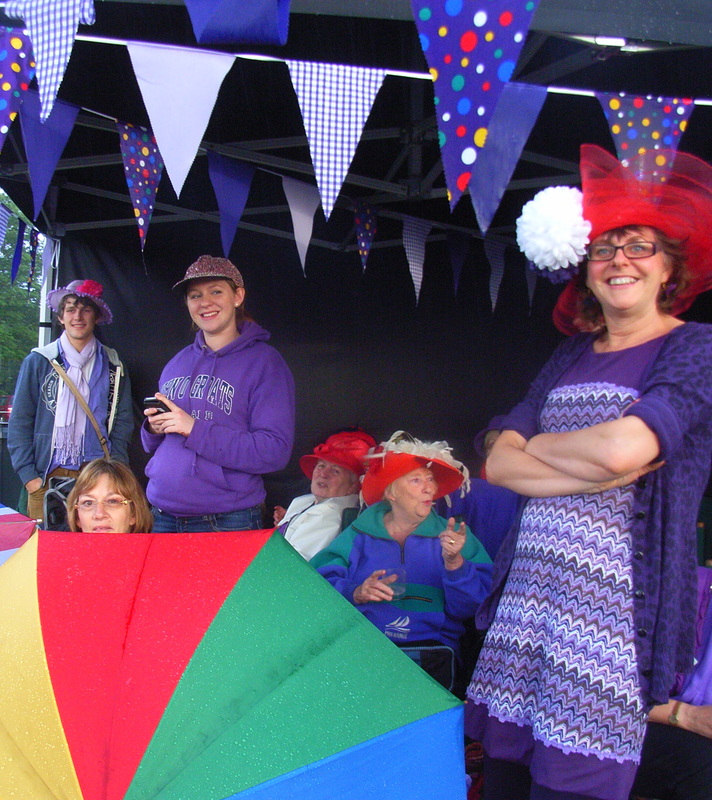 And once 25 women (and assorted husbands) had arrived, all the Red Hatters wearing (yes) red hats, and dressed in purple (as required for all Red Hatters on Hoots), we kind of stood out. As well as being great fun, it was a good recruiting opportunity!